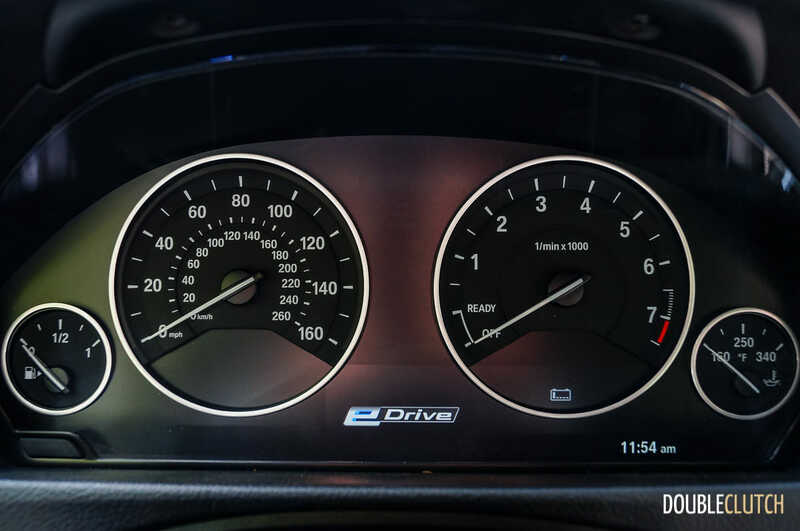 The precision is still there, but the 330e has extremely light steering. 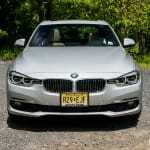 Having long since established itself as a sport sedan benchmark, the BMW 3-series soldiers on untouchable nearly forty years since its introduction. 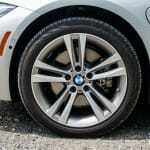 Model year 2016 marked a heavy mid-cycle refresh for the line, also known as a Life Cycle Impulse (LCI) in BMW speak. 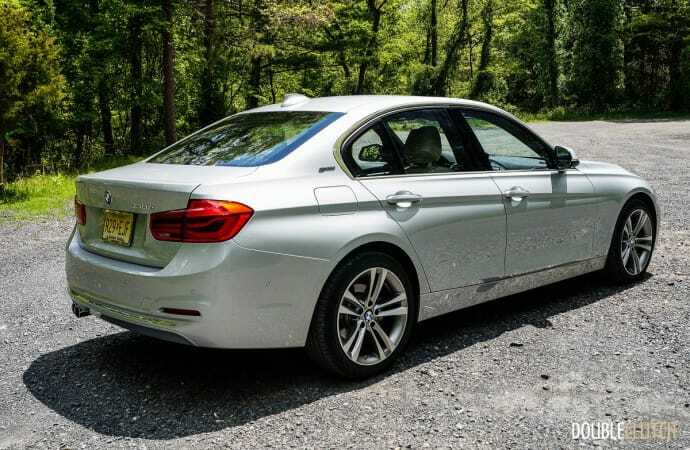 We gave the new 340i xDrive (reviewed here) our “Overall Favourite” in last year’s Annual Awards, and we also sampled the 328i Touring to see how it has evolved. 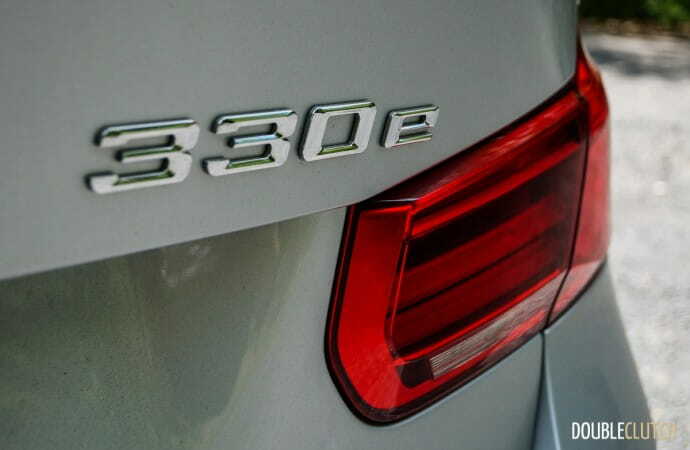 For something a bit different though, I was given the keys to a 2016 BMW 330e, the first plug-in hybrid of this line, to see how it fares against other hybrids at similar price points. The 328i is now known as the 330i in the United States market, which explains why the four-cylinder 330e gets the name that it does. However, from the outside it’s almost indistinguishable from its siblings. 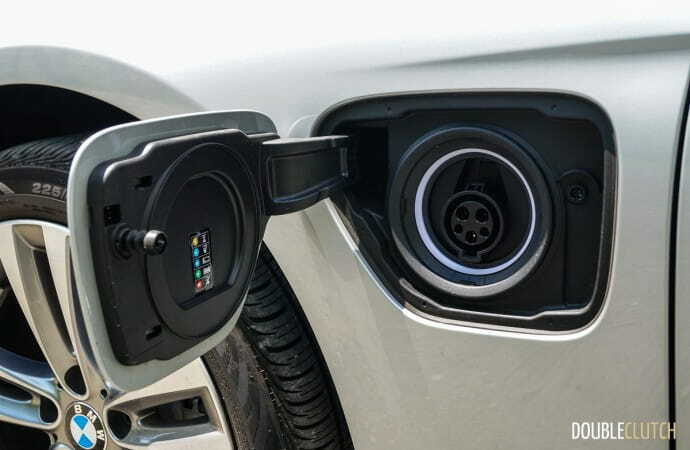 The only differentiator on the outside of the car is the plug-in port located directly behind the driver’s side front fender. 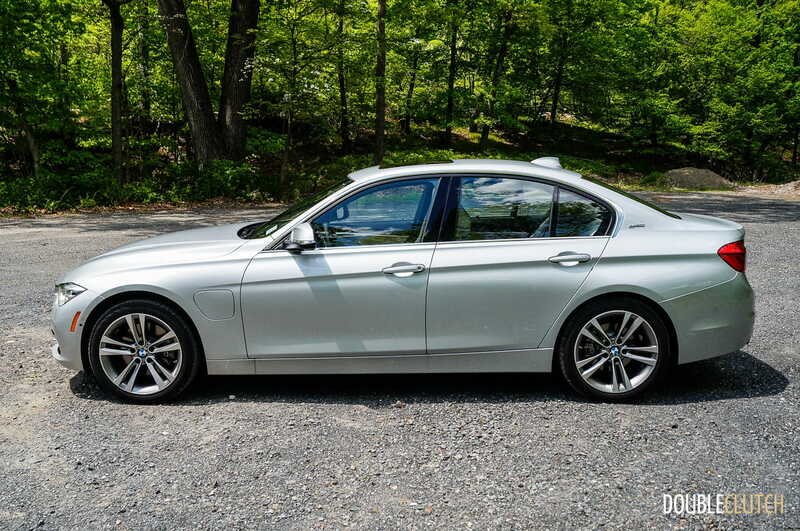 I rather like the anonymity of the 330e, because unlike vehicles like the Toyota Prius (reviewed here), it does not announce to the world that you’re trying to do your part to be green. 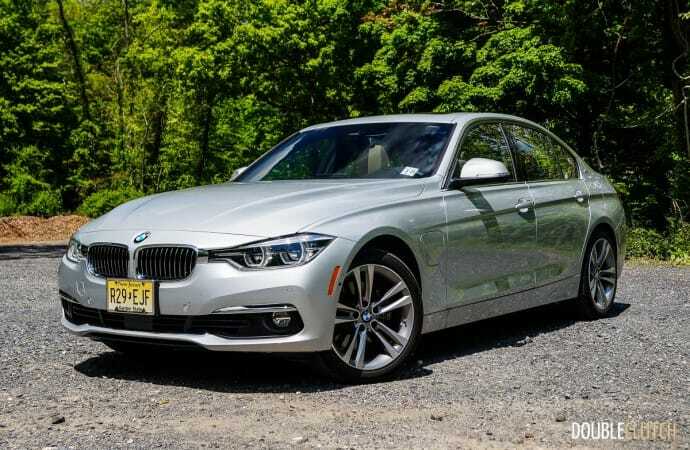 The 3-series is a well-styled car with great proportions and understated elegance. 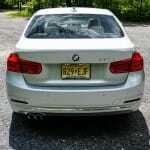 Despite sharing many things with the 328i, the gasoline powertrain in the 330e is actually shared with the 320i. 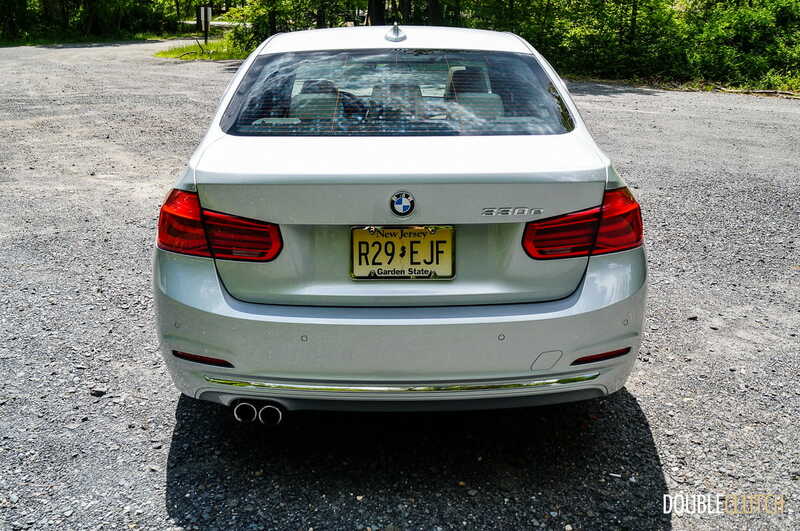 It’s a de-tuned version of the same N20 2.0L turbocharged inline four-cylinder that powers all of the BMW “28i” vehicles, but offering 181 horsepower. 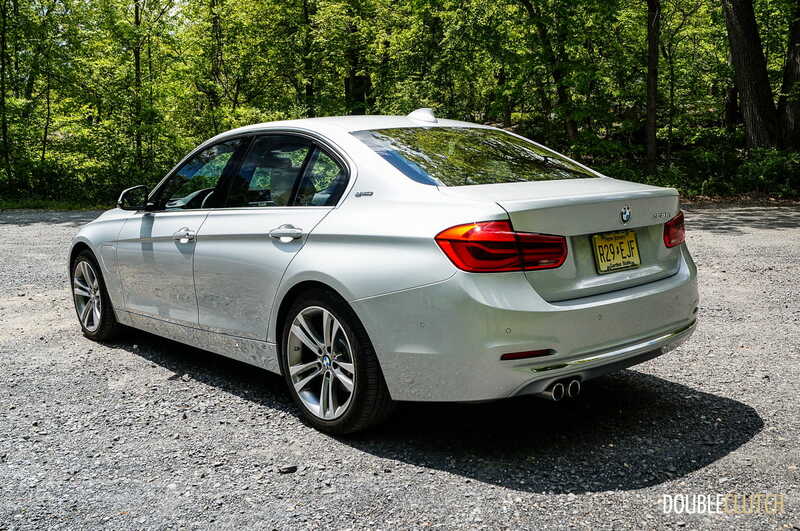 The electric motor adds 87 horsepower, bringing the 330e’s total output to 248. Peak torque is great, at 310 lb-ft, which allows the 330e to haul to 100km/h in just 6.19 seconds. It’s not quite as quick as the 340i, but it’s barely slower. 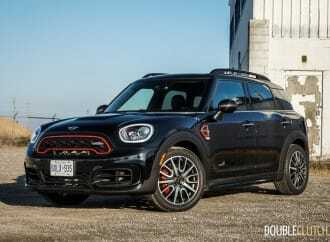 Thanks to the electric motor being capable of overboost to 184 lb-ft, power delivery is instantaneous and there’s much less lag than the gasoline-powered models. Where the 330e’s sprightliness takes a step back though is with regards to weight. 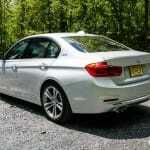 The plug-in hybrid model is 353 lbs heavier than a comparable 328i, and the electric motor up front and 7.6-kWh battery in the trunk mean the 3-series’ 50/50 weight distribution is modified to 49/51. 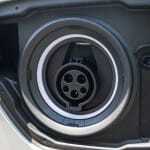 The electric motor’s peak torque helps power delivery consistently right through the power band. Power is sent to the rear wheels via the ZF eight-speed automatic transmission, there’s no CVT here as in other hybrid offerings. 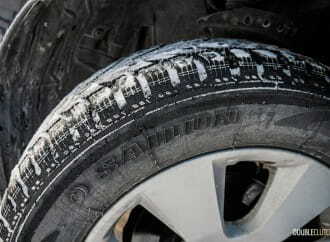 The benefit here is a truly involving driving experience with minimal artificiality. 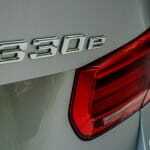 Something that the current 3-series (chassis code F30) has had much controversy over is the electrically assisted steering. 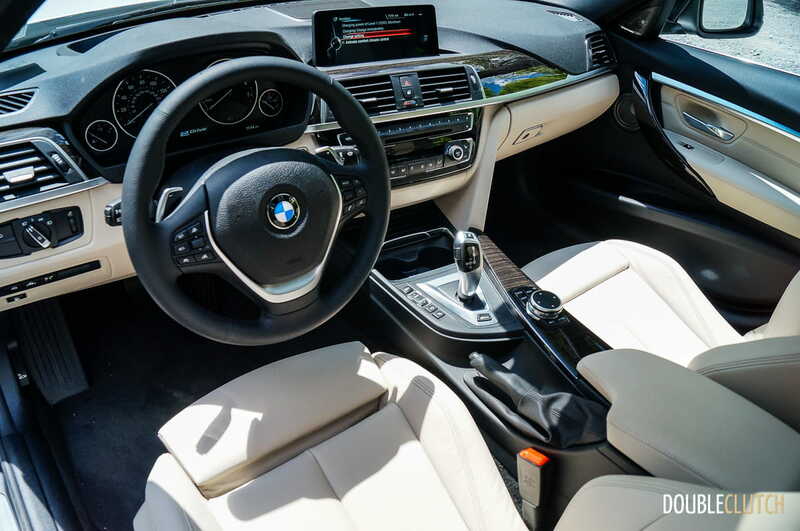 This development does mean lighter steering creating more ease of use for the mainstream buyer, but minimal feel and road feedback, something that BMW was known for through the old hydraulic steering system. The precision is still there, but the 330e has extremely light steering and it’s easy to go lock-to-lock using just a finger. In sportier settings, the steering rack tightens up, but there still isn’t much in the way of analog, visceral feel. 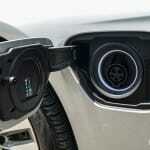 BMW suggests that in ideal conditions, the 330e will travel up to 25 miles of EV-only driving. Of course, even when full EV mode has been depleted, the car still functions as a regular hybrid to deliver great efficiency. We saw 5.9L/100km, and experienced BMW’s plug-in hybrid system extensively in the X5 xDrive40e (reviewed here) earlier this year. 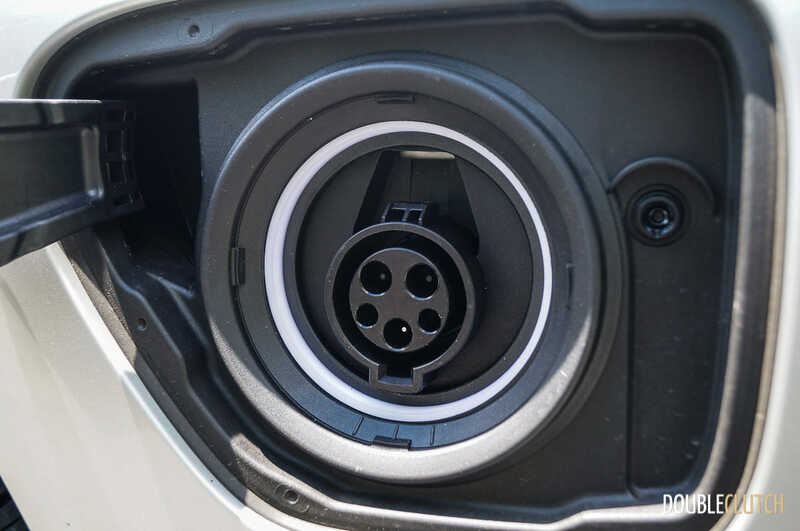 In Max eDrive setting, which makes the most of EV mode, the car can travel up to 125 km/h before the gasoline engine needs to kick in, which means regular North American highway speeds can be accomplished in this setting. 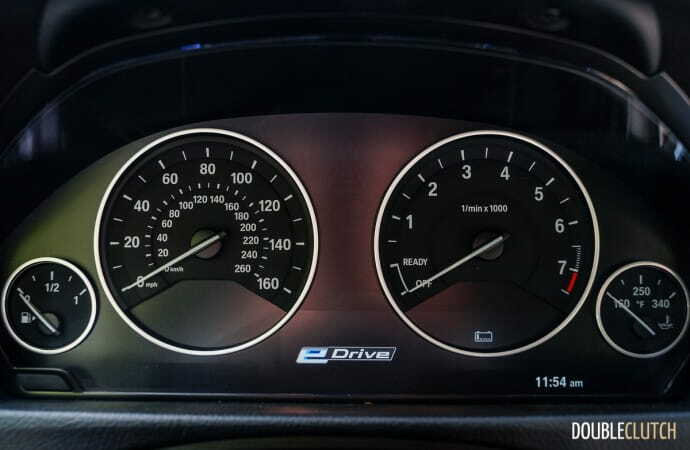 The aforementioned Max eDrive setting is the default mode, and when a destination has been entered into the navigation unit, the car analyzes the route and predicts when to use what type of power. If your trip involves a ton of highway travel, it will regenerate battery power accordingly so when you get into the city the EV mode kicks in. There is also a “Hold” setting to save your energy for later use, and there are Sport modes to the engine and transmission for more engaging drives. 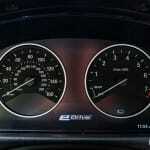 Entering the cabin of the 330e, anyone familiar with the 3-series line will find familiarity. 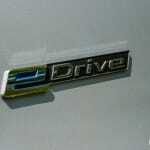 Other than the “eDrive” button located just below the gear selector, there are no unique bits here. The interior is well laid-out and pleasant, with use of high quality materials and no visible panel gaps. 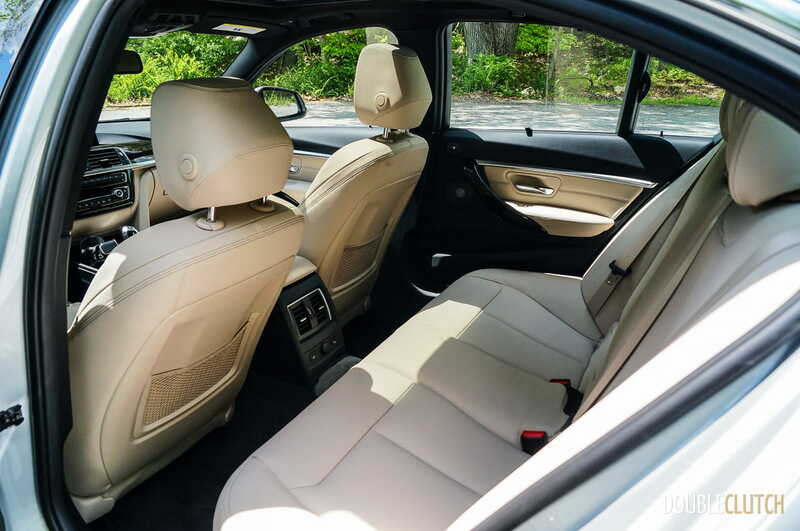 Our car was a Luxury Line, with wood accents and Oyster leather, which brightened up the interior considerably. 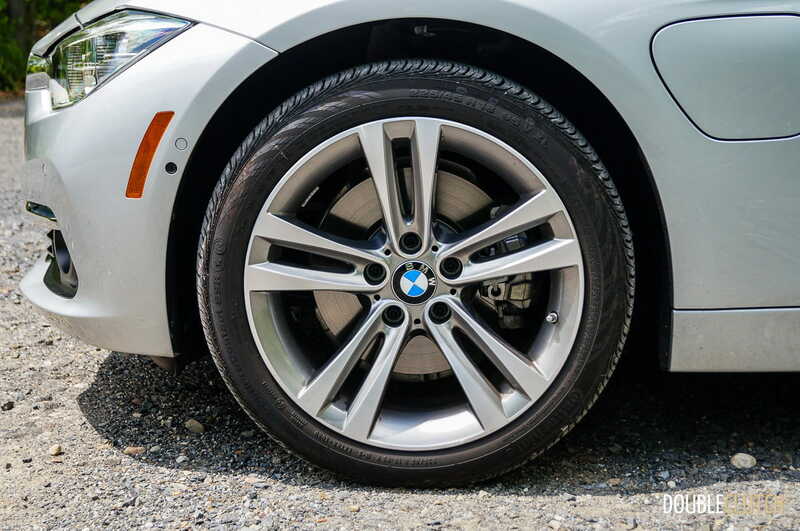 Something that’s not to be taken for granted in new vehicles is a low enough beltline for great visibility, something the BMW has always boasted. 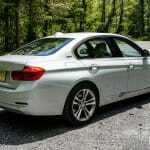 Given the 3-series is known as the “Ultimate Driving Machine”, the driving position is spot on. Even without the optional Sport Seats with adjustable thigh support, the 330e is a very comfortable and pampering place to be. 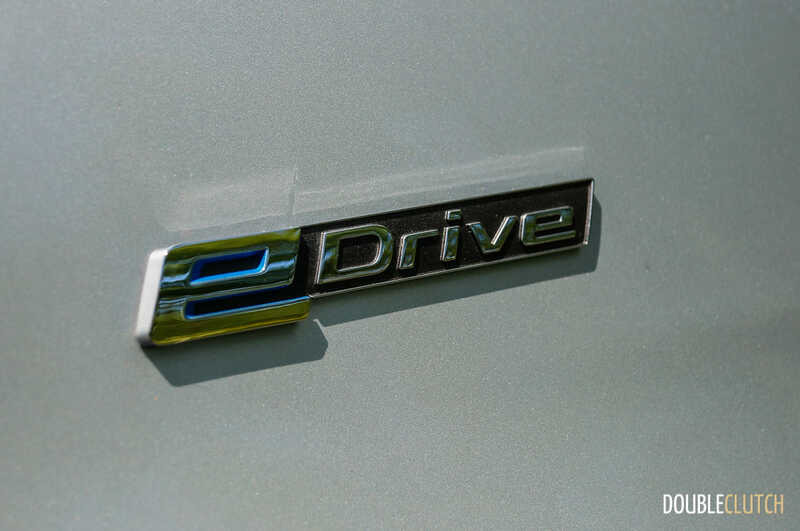 The iDrive infotainment suite, especially when paired with BMW’s ConnectedDrive services, is the best in the industry and is definitely at the top of my personal list for ease of use. The controller is simplistic and there’s little to no lag from the system overall. Also, with the included connector, the 330e will recharge using a standard household outlet in 3.5 hours. 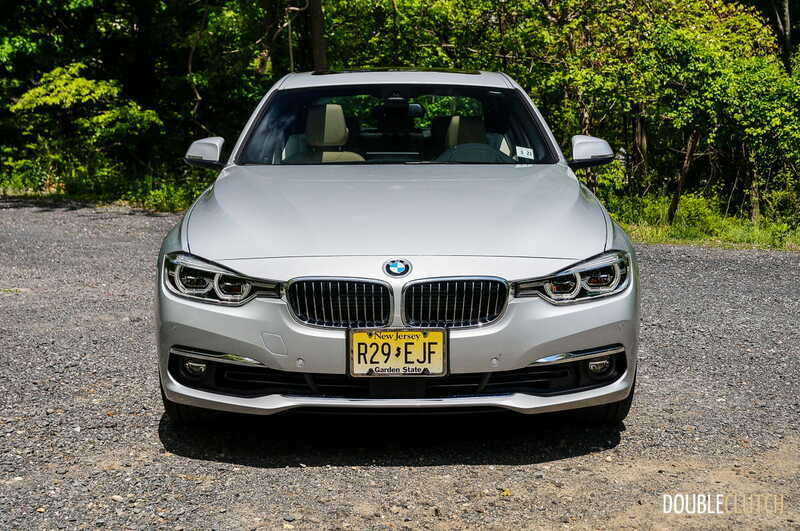 Starting at just $43,700 (USD) before taxes, the 330e is actually decent value. The value proposition begins to thin considerably once you begin stacking on the options, though. Our test vehicle was equipped with optional Glacier Silver paint, Oyster Dakota Leather, and a series of packages. This stuff includes 18” wheels, adaptive LED lighting, heated front/rear seats, Park Distance Control, moonroof, and a whole slew of other options. The total sticker for our car crested the $60,000 mark. With the current exchange rate, that’s nearly $80,000 Canadian, which is far too much money in this segment. 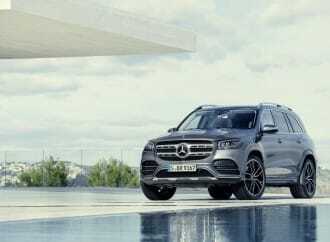 In comparison, a Mercedes-Benz E250 Bluetec, which is one class up, costs more than $10,000 less. 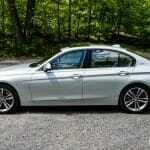 The 2016 BMW 330e is a very interesting proposition. 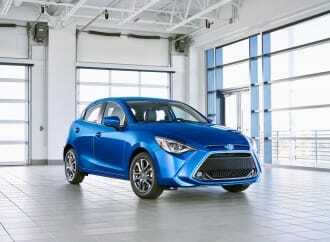 Building on the premise of one of the all time best drivers’ cars in the world, this plug-in hybrid is the first in its segment in North America. 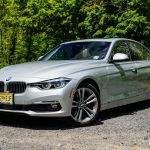 While rivals like Mercedes-Benz and Audi are still working hard, hoping to release their PHEVs in this segment in the coming years, the 330e is production ready and is already available for sale in certain parts of the United States (not Canada just yet). We don’t expect it to be a huge seller, but an excellent alternative to those looking for something green without any sort of compromises in the luxury and sport departments.